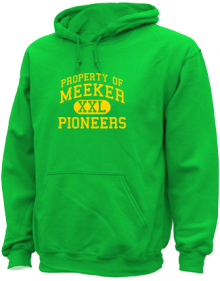 There are ordinary schools and then there is Meeker Junior High School, Renton, Tacoma Washington State – Home of The Pioneers whoever they are! And then there are other schools who while not have sure a heady mission statement might actually concentrate on things like oh!… Um!… Spelling. 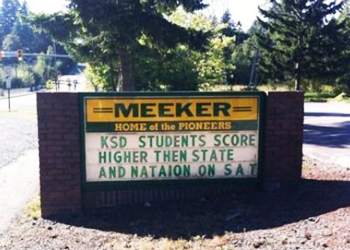 Maybe the other schools in the area concentrate more on the educational basics and leave Meeker Junior High School Mission Statement to strive for high educational goals? Or maybe not. Either way if thou go to their website you can get 30% Hoodies and Zip-up Hoodies at the moment, it’s odd that I ahem always associated Hoodies, whether they zip up or not with petty criminals and shady types, I wonder if there is a link there? Not a nice hoodie and shame about the colour!